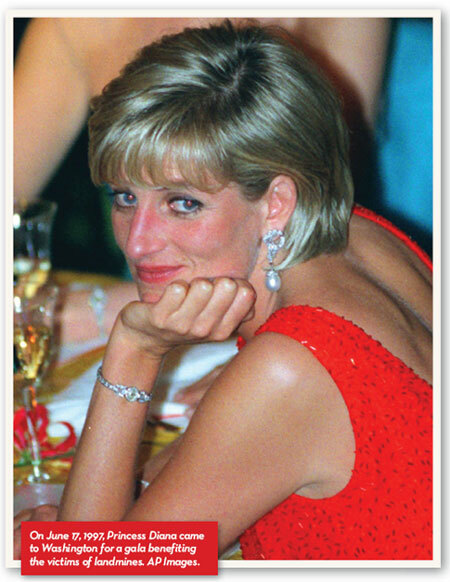 Tina Brown began following the life of Lady Diana Spencer as the young, 25-year-old editor of Tatler. Her 1985 Vanity Fair article, “The Mouse that Roared,” revealed the secrets behind the “fairy tale” marriage in the same way that her new book, The Diana Chronicles, reveals the secret behind Diana’s mystique. CAROL JOYNT In your book you say that the news about the royal marriage not being everything that everybody thought it was, was already known, but over here [in America], it wasn’t. This was an earth-shattering story when it came out – up until then, we were all living the fairy tale. TINA BROWN There had been details seeping out, but no one at that point had put it together. The thing that was really striking about it was that Prince Charles and Diana went on television to refute it. As soon as they did that, then I knew it was all right. CJ Was this their first visit to the United States? TB Yes, we published the story on the eve of their visit to Washington … when Diana danced her famous dance with John Travolta at the White House. CJ Which you say she actually wanted to dance with Mikhail Baryshnikov. TB It was a great fantasy that she was going to take the floor with Baryshnikov, but he had a leg injury … of course Nancy Reagan always thought she would have preferred to have danced with Travolta. They danced for five or six minutes, and he said he found her, up close, to be just incredibly sensual. TB One important one, yes. CJ Who was Diana in love with when she died? TB I still believe that the love of her life was Charles, not so much because she lost Charles, but because she never felt she had Charles. That was, for her, the great sort of running pain … she could not understand why Charles preferred Camilla. CJ This comes to the heart of the story. You’ve got Diana in love with Charles who’s in love with Camilla. Who was Camilla in love with? TB Camilla was more in love with her husband. CJ So you have Camilla in love with her husband. It’s this awful, horrible tragic spiral, because you realize that if Charles would have just loved [Diana], everything would have been different. TB Absolutely true. Diana was very bitter, but not just about losing Charles or not having Charles. Frankly, she also felt bummed out because she was really good at being the Princess of Wales. It was the right job, and she didn’t want to feel she couldn’t do it.